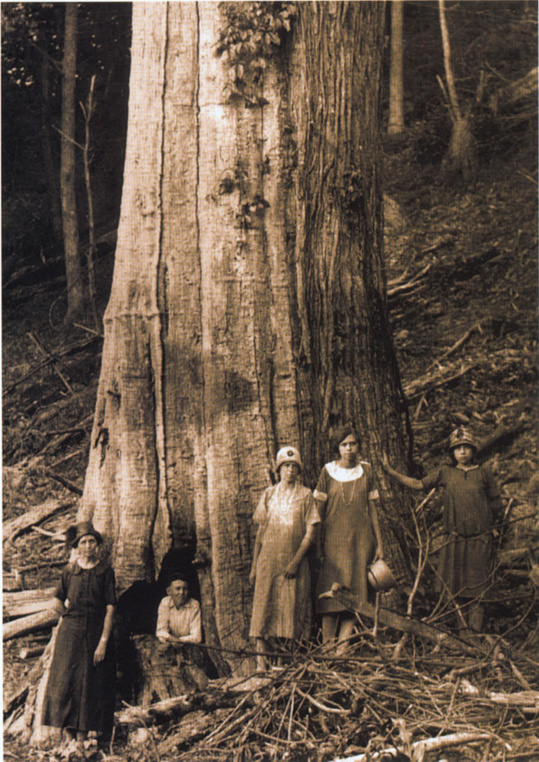 The Shelton Family next to a large [and 'strip-barky'] Castanea dentata in the Great Smoky Mountains National Park. Jim and Caroline Walker Shelton's family standing by large chestnut below Tremont Falls. This tree was felled by Jim Shelton. Woman on left is Caroline Walker Shelton. 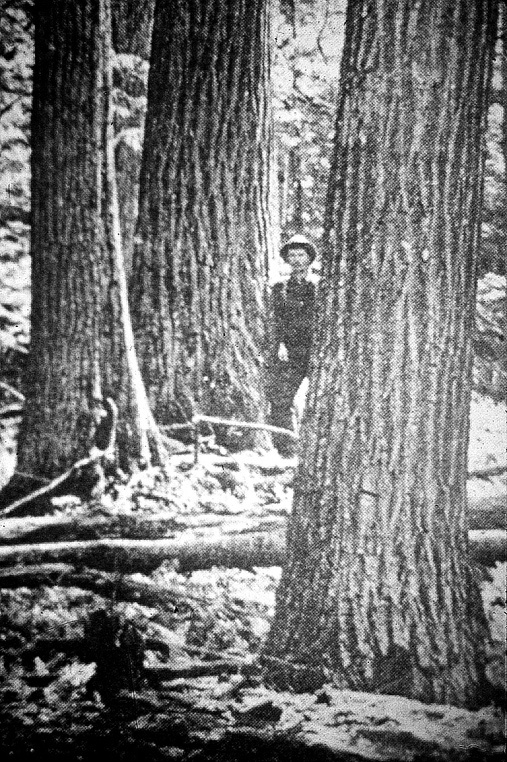 "When chipper made notch to mark this tree for cutting, it was found to be hollow! so it was rejected for lumber. It was eventually cut by Jim Shelton, rolled down bank and used to retain dirt fill when railroad was built above Tremont. "The pioneers in that picture are, from left to right, (my mother) Caroline Walker Shelton - inside the tree (my brother) John Shelton, next my sister, Leona Shelton Cotter - then myself, Effie Shelton Phipps, and Hazel Shelton Hembree... Yours truly, Mrs. E.V. Phipps Sevierville." Many thanks to The American Chestnut Foundation for sharing special images of a classic, eastern North American charismatic megaflora.